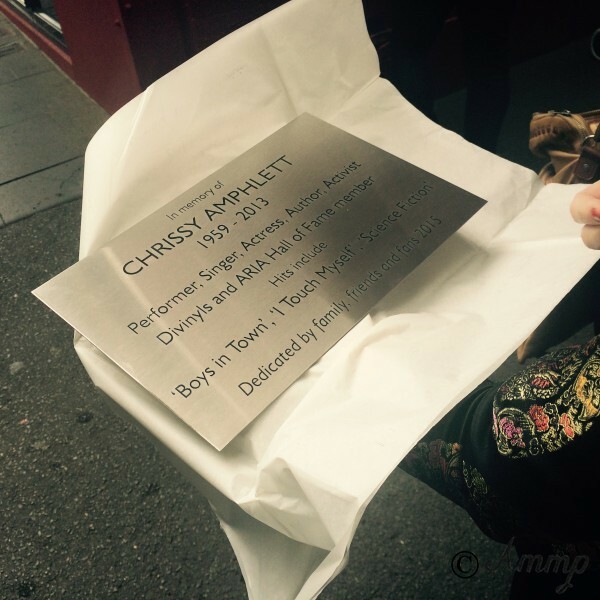 Chrissy Amphlett loved dogs and bred them. 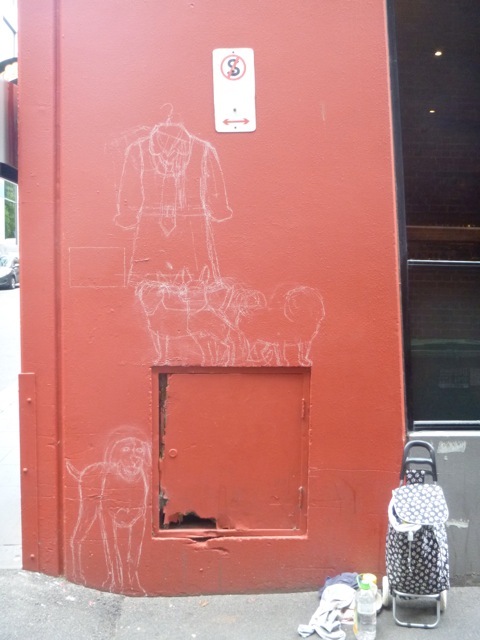 At Amphlett Lane in Melbourne, a black Pekingese called Holiday (named after Billie Holiday) is now watching over her mistress. 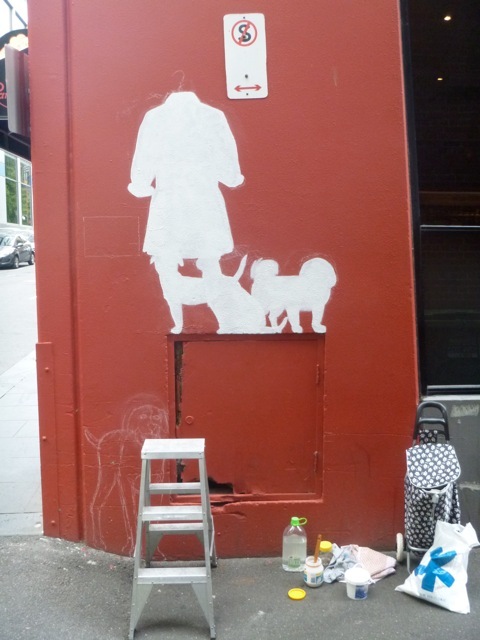 Chrissy Amphlett and her dogs were immortalised in stages and have since become a social media hit. These are just a few of the many photographs, below. 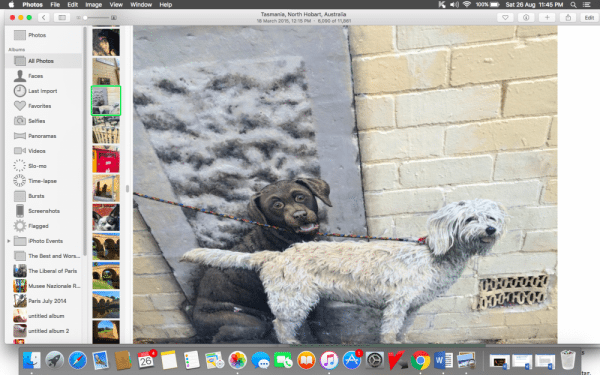 The award-winnng Tasmanian artist Peter Gouldthorpe was commissioned to create the mural. 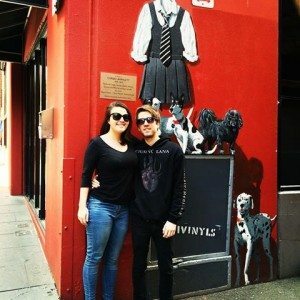 Since then, fans and Melbourne visitors have flocked to the portrait of Holiday, Saki, Tuppence and Dobro to take photographs on Instagram and Twitter. You can read more about Chrissy’s dogs in her autobiography, Pleasure and Pain. This great portrait of Chrissy Amphlett is by Reg Ryan, from social media. 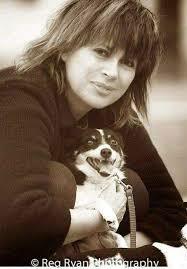 Photograph of Chrissy Amphlett and her dogs by Reg Ryan. 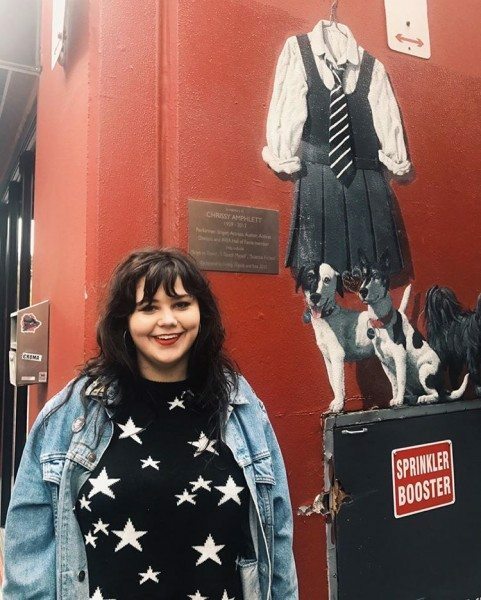 The Chrissy Amphlett dogs, school uniform and Divinyls amplifier make a popular backdrop for fan photographs on Instagram and Twitter. 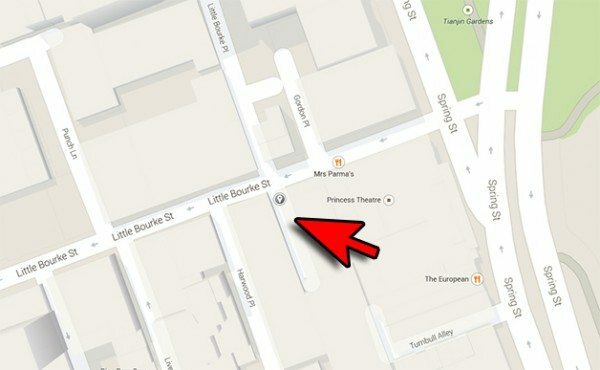 Famous visitors to the Amphlett Lane include Blondie drummer Clem Burke and Paul Kelly. Instagram portrait by Disco Business. 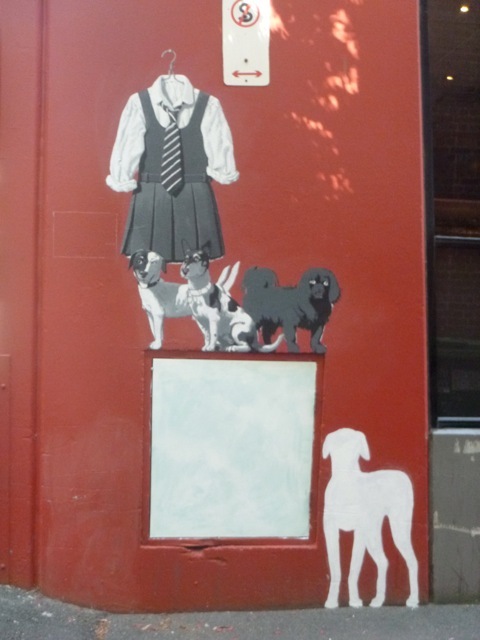 Chrissy Amphlett and her dogs required an award-winning animal portrait painter. 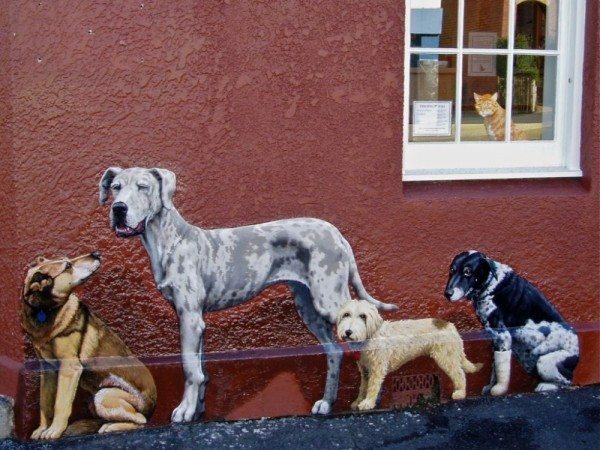 Peter Gouldthorpe’s dog murals also adorn Hobart. 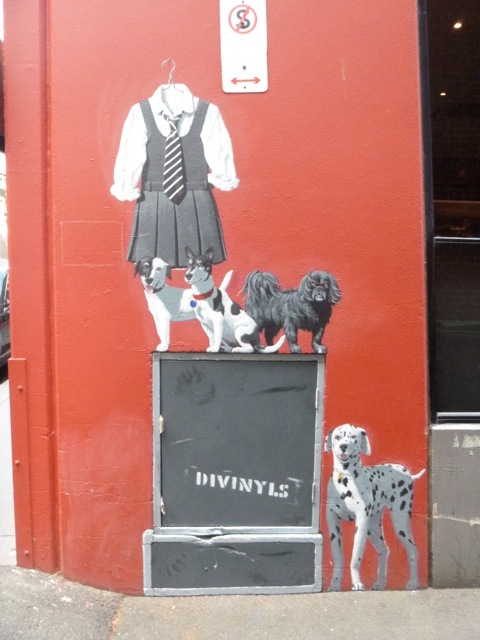 Holiday stands on an amplifier bearing the name of Amphlett’s legendary band Divinyls, joined by Saki, Tuppence and Dobro her dalmatian. 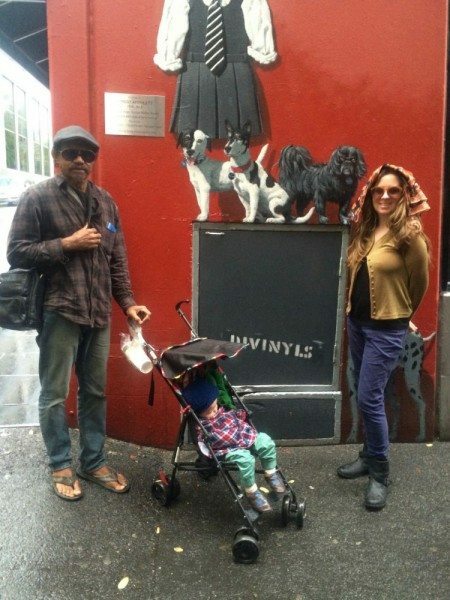 It is a mural that has been created from photographs lent by her husband Charley Drayton, drummer with Cold Chisel. 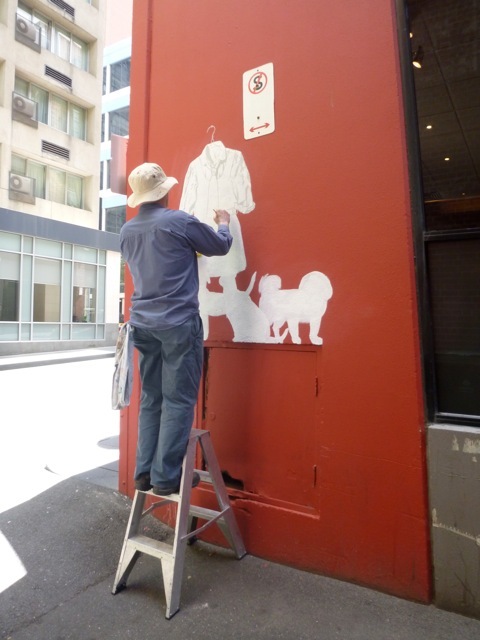 You can see the mural being developed by Peter Gouldthorpe in stages, here. 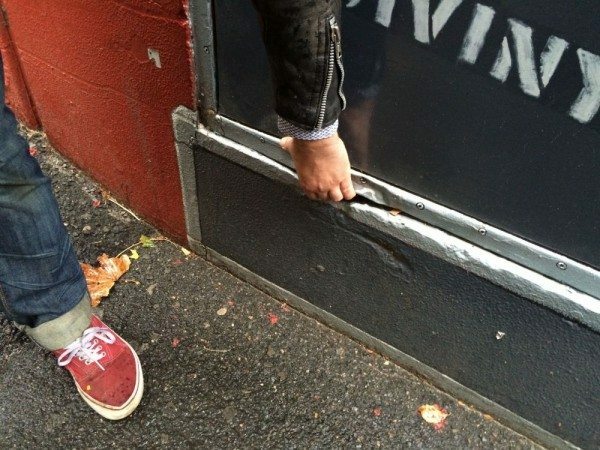 The hidden fire hose unit, bottom, became a Divinyls amplifier in his hands. 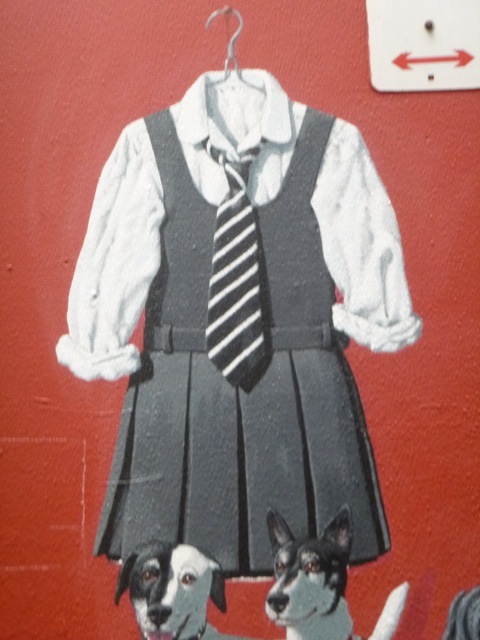 Chrissy Amphlett’s famous uniform at Amphlett Lane, Melbourne. 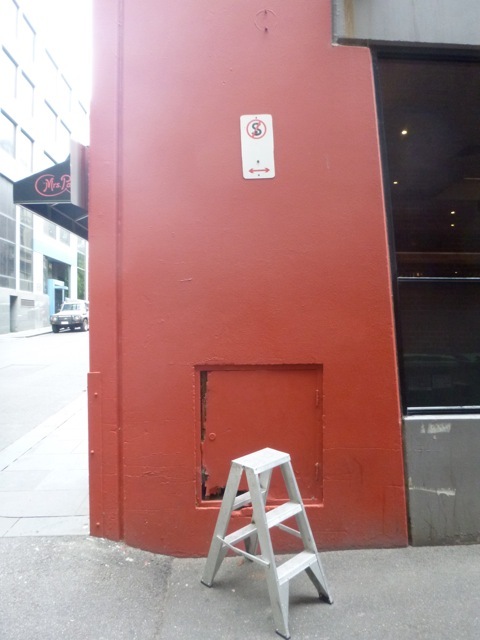 Amphlett Lane also features a plaque donated by the City of Melbourne and a lane way screen mural by Melbourne artist Damien Arena. Artist Peter Gouldthorpe’s work includes the 1994 Picture Book of the Year, First Light. 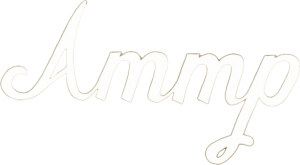 He has illustrated books by Paul Jennings, John Marsden, Colin Thiele, C.J. Dennis and Ethel Turner. 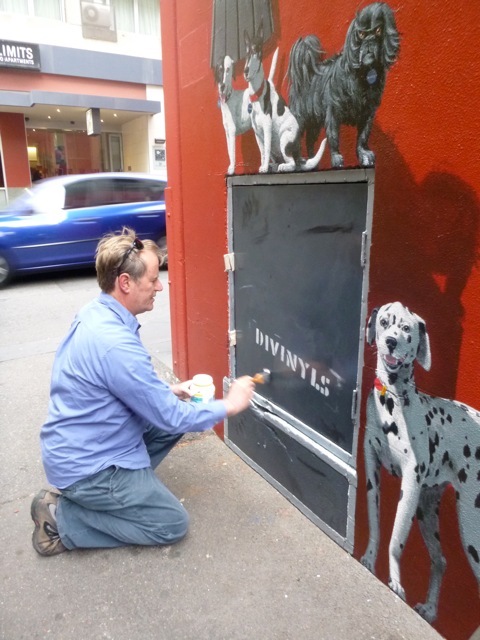 He’s one of the heavy lifters of Australian illustration, painting and street art. 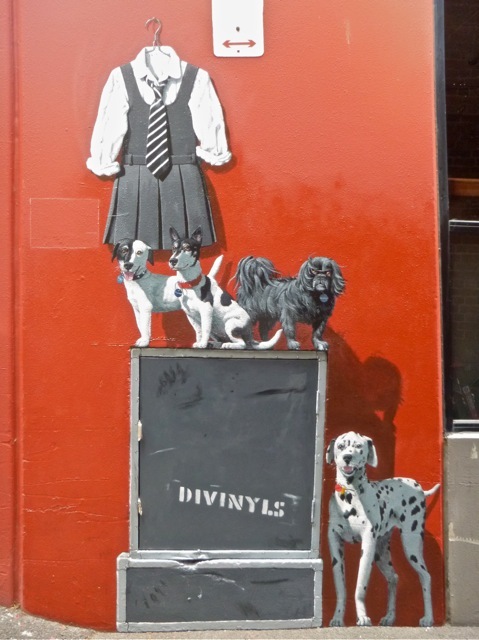 Chrissy Amphlett and her dogs sit on a Divinyls amp. 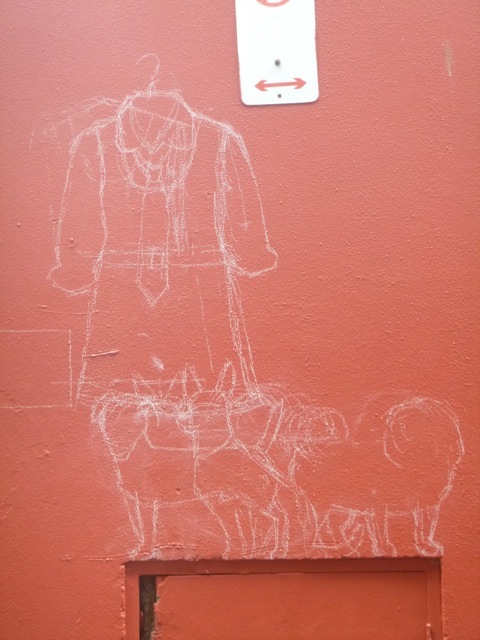 Dogs by Peter Gouldthorpe in Hobart, Tasmania. Mural process photographs by Peter Gouldthorpe, with special thanks.